Cancelation Policy : Cancellation Policy: If cancelled up to 2 days before date of arrival, no fee will be charged. If cancelled later or in case of no-show, the first night will be charged. Children and Extra Bed Policy: All children are welcome. All children under 3 years stay free of charge when using existing bedding. All children under 2 years stay free of charge for cots. Maximum capacity of extra beds/babycots in a room is no. Deposit Policy: No deposit will be charged. VAT and city/tourist taxes: VAT is included. Service charge is included. City/tourist tax is included. Internet: Wireless internet is available in the hotel rooms only and is free of charge. Meal Plan: Continental breakfast is included in the room rate. Parking: Secured parking is possible on site costs EUR 25.00 per day . Pets: Pets are allowed on request. No extra charges. 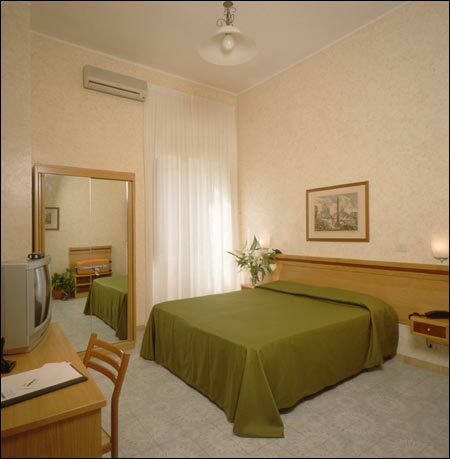 Short description : This 3-star hotel is located in a prestigious and central position in the historical centre of Rome, just a few steps from Via Veneto, Villa Borghese and Termini train station. 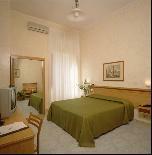 Totally renewed in 2002, the hotel combines a comfortable atmosphere with a central location and friendly staff. From the hotel, it is easy to reach most of the artistic points of interest in Rome, including the Spanish steps and the Trevi Fountain, on foot. Food & Beverages : A rich continental breakfast is served on the main floor and is included in the room rate. 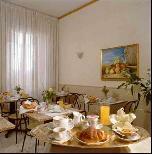 The breakfast includes: coffee, espresso, cappuccino, chocolate milk, tea, bread, butter, marmalade, orange juice, croissants, chocolate, yoghurt. Travel Information : By Plane: From Fiumicino Airport (FCO), (35 km from Rome’s west side): - Take the Leonardo Express train that leaves every 30 minutes and stops at the Termini Railway Station without any mid-journey stops - Alternatively, take a taxi. Taxis are available in the arrivals areas of the terminals. It is highly recommended to take only the yellow and white licensed taxis. From Ciampino airport (CIA), (15 km from the east side of Rome): - Take the Acotral bus to Ciampino train station from outside the Arrivals Hall. From the railway station there are trains for Roma-Termini Railway Station every 15 minutes. - Alternatively, take an Acotral bus to Anagnina metro station. 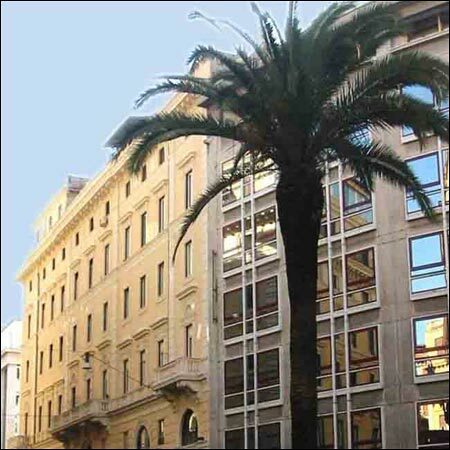 Once you have arrived, take a train in the direction of Battistini and stop at Termini Railway Station. 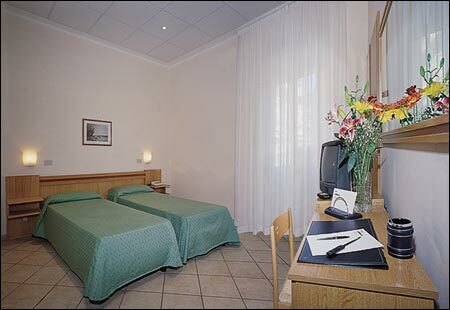 - You could also take a taxi from the airport to the centre of Rome. It is highly recommended to take only the yellow and white licensed taxis. 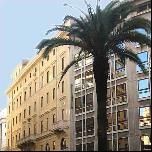 By Train: From Termini train station: - You could take the metro (Metropolitana). From Termini Railway Station you can take the Termini metro in the direction of Battistini (Line A), getting off at the Repubblica stop. Continue on foot or take bus number 36 or number 60. By Bus: Outside Termini Station there is a big ATAC bus depot. Take bus number 16 or 36. Hotel Information : Hotel Embassy, like Rome, is a mix of old and new: the common spaces and the outdoors, renovated in 2002, are in a classical style, whilst the recently-refurbished rooms are decorated in a modern, comfortable style. 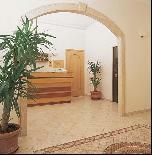 The hall is characterised by a white classical arch that leads to a comfortable lounge reserved for guests. The lounge is finely decorated with 2 beautiful mosaics in a Roman Architectural Style, which are reminiscent of the Imperial Age. 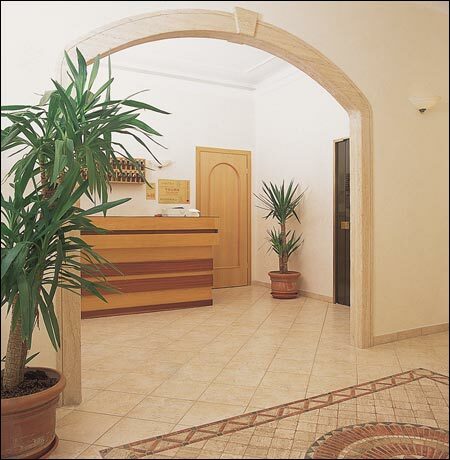 The reception is open 24 hours a day to give guests the best assistance. There is also free luggage storage for late departures. 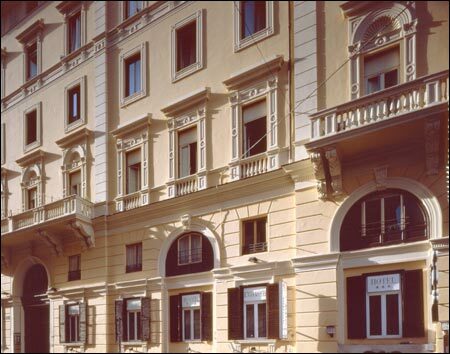 Region Information : Via Veneto, where the hotel is located, is the most beautiful and elegant area in the heart of Rome, well-known all over the world for the most famous of Fellini’s movies: ‘La Dolce Vita’. It is renowned for its cafés, restaurants and shops. During the Roman Imperial Age this area included some of the most luxurious villas of Rome, belonging to prominent people such as Julius Caesar and Sallustio. The district's golden age coincides with the Baroque. 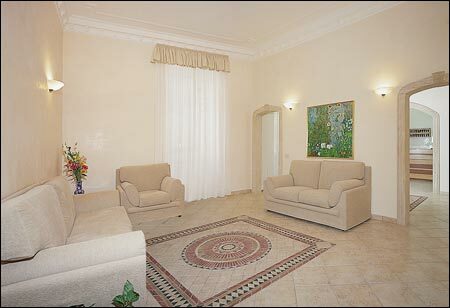 From the Embassy Hotel it is also very easy to reach on foot most of the historical and artistic points of interest in Rome, from the Spanish steps to the Trevi Fountain.